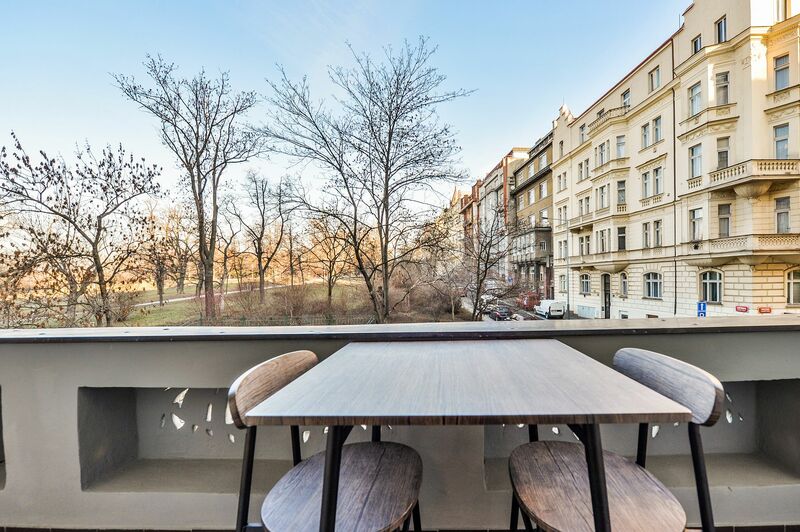 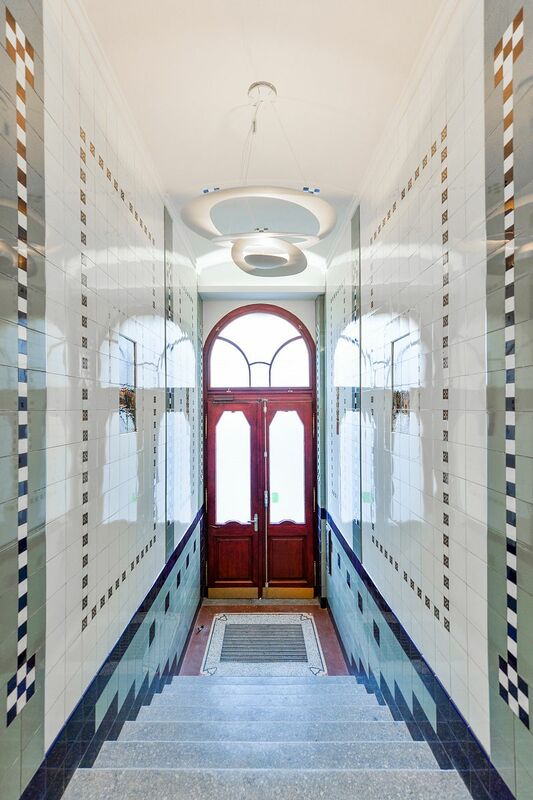 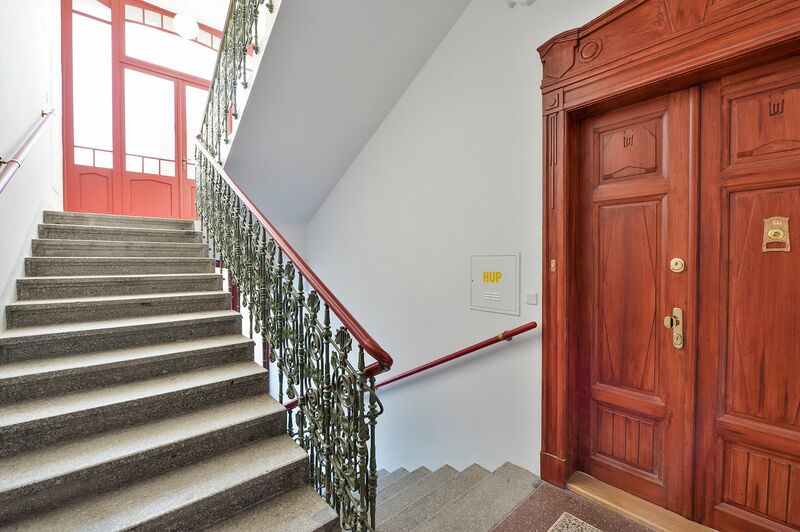 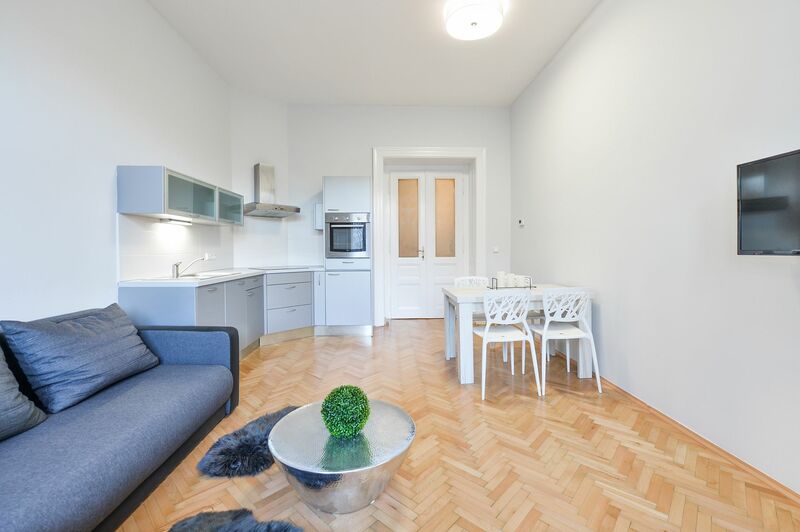 Boasting a balcony that provides beautiful views of Riegrovy Sady Park, this completely newly refurbished 1-bedroom apartmet is on the first floor of a renovated traditional building with an elevator and preserved original features. 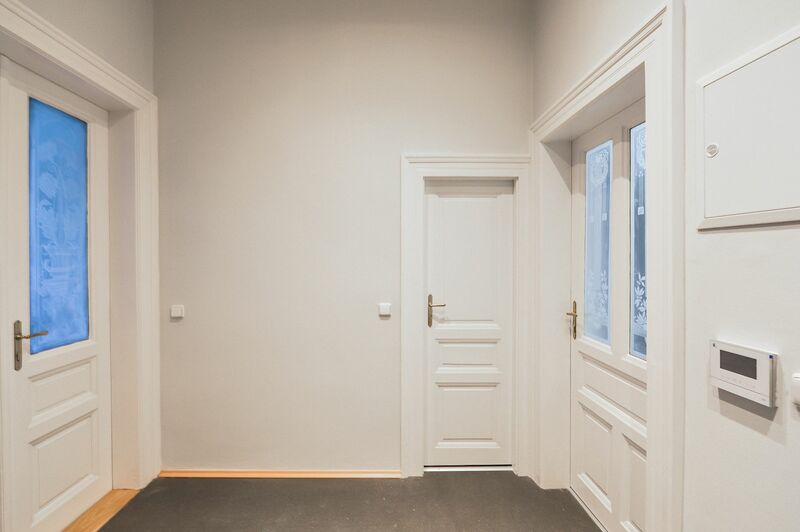 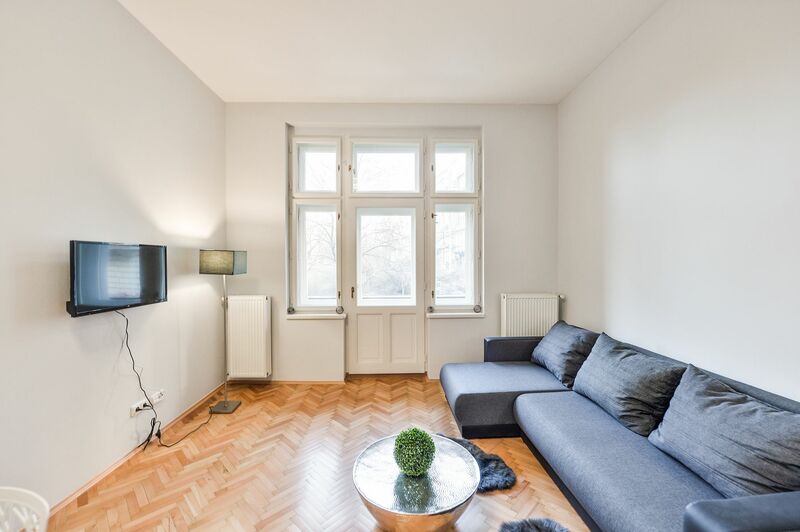 Located on a quiet street on the edge of the lovely Riegrovy Sady Park, a few blocks from the Jiřího z Poděbrad metro station, with very quick access to the city center. 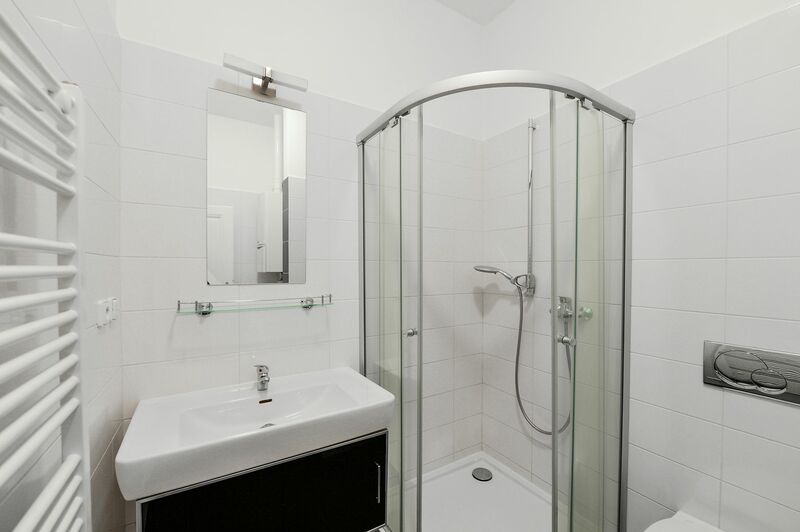 Full amenities within easy reach, incl. 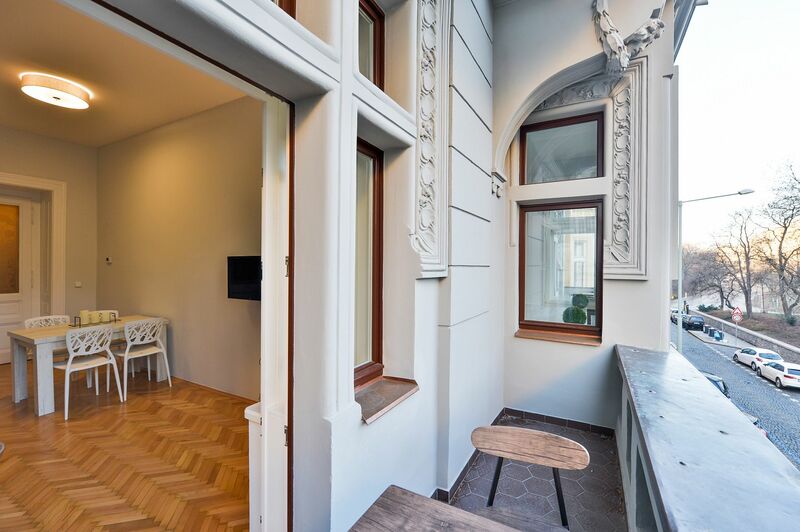 many fine restaurants, bistros, cafes, and a popular farmers' market. 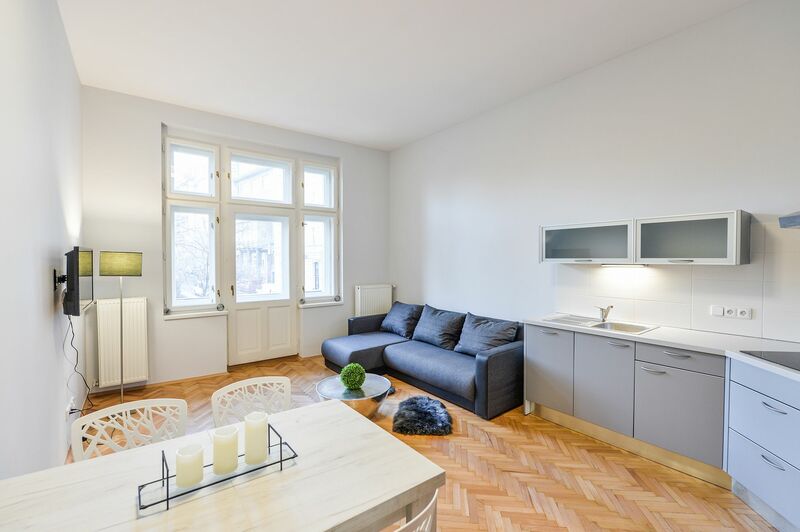 The interior features living room with fully fitted open plan kitchen, and entrance to balcony, bedroom with closet, bathroom with bathtub and toilet, separate toilet, and entrance hall. 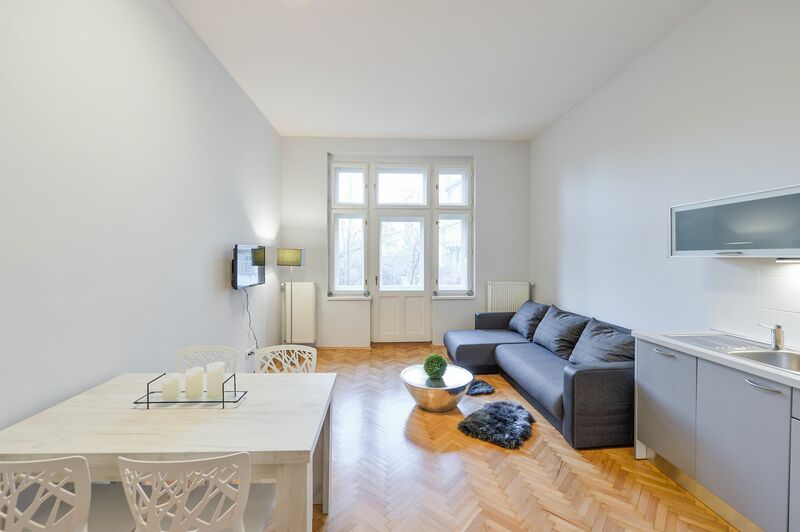 Hardwood floors, built-in wardrobes, security door, TV, video entry phone, gas boiler, Bosch washing machine, induction cooktop, dishwasher, cellar. 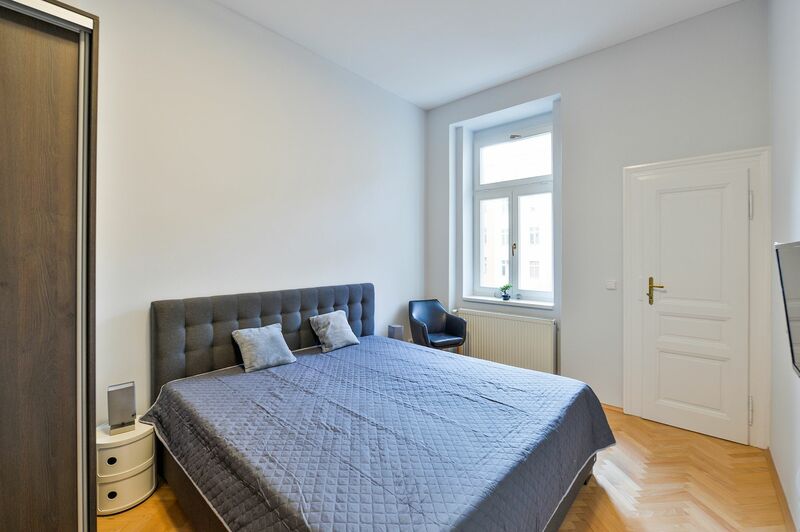 Service charges and water CZK 1,500/month, electricity and gas are transferred to the tenant.